There are two public transport options for travel from Chumphon to Prachuap Khiri Khan: train and minivan. In theory the train is the quicker option particularly if you take the fast train departing at 12:46, however, minivan services are not as likely to be delayed as the trains and there are more frequent minivan services so the likelihood is that travelling by minivan will be faster than travelling by train from Chumphon to Prachuap Khiri Khan. There are 10 minivan services a day from Chumphon to Prachuap Khiri Khan which are available to book online. Minivans services to Prachuap Khiri Khan depart from the Fame Tour Office in Chumphon town. The journey by minivan from Chumphon to Prachuap Khiri Khan takes 3 hours 30 minutes. There are 8 trains a day from Chumphon to Prachuap Khiri Khan. Chumphon Prachuap Khiri Khan Service Train No. The journey by train is scheduled to take between 2 hours 12 minutes and 3 hours 21 minutes depending upon which train you take, although at the present time the Southern Railway Line is single track and therefore prone to delays. Use the Search Box below to book minivan tickets from Chumphon to Prachuap Khiri Khan. Train tickets for the journey from Chumphon to Prachuap Khiri Khan are not currently available to book online through the Seach Box. 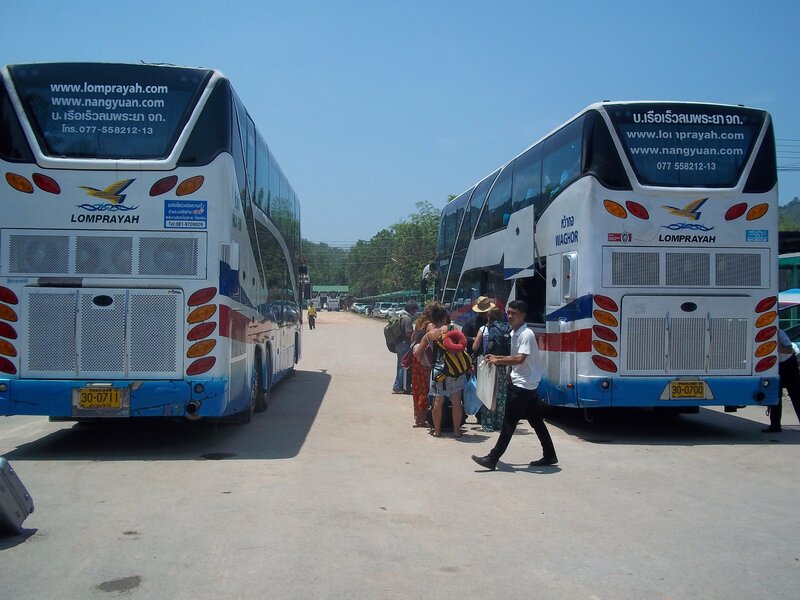 Priority for online booking is given to the longer distance routes from Chumphon to Bangkok and Surat Thani to Bangkok. Mininvan services to Prachuap Khiri Khan depart from the Fame Tour office on the Saladang Road in Chumphon. Chumphon railway station is located in Chumphon town centre. Prachuap Khiri Khan van station is located on the intersection of the main north-south highway and the main road (Road 326) to Prachuap Khiri Khan town centre. 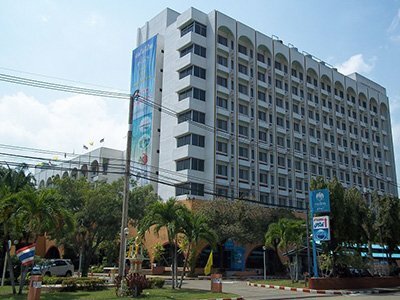 Prachuap Khiri Khan is a city centre city station which is a short walk from the main seafront road. 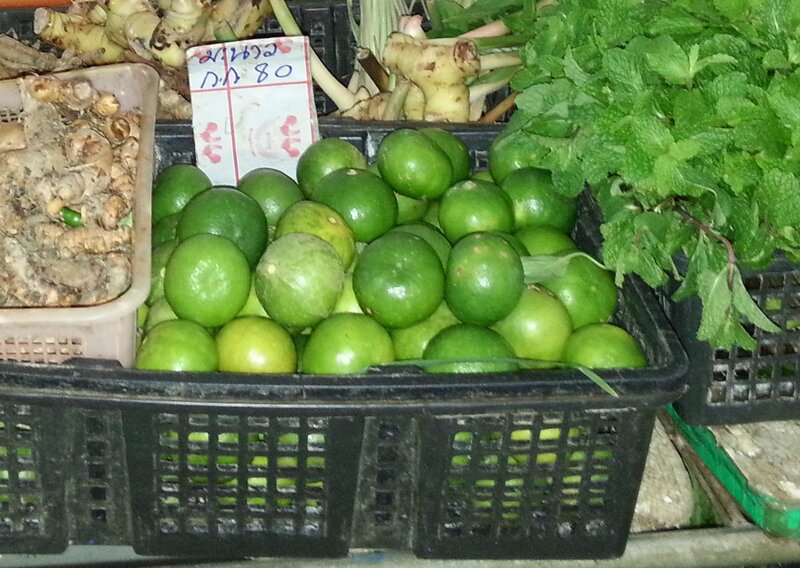 Prachuap Khiri Khan is a picturesque town with a relaxed atmosphere that is great value for money. The major resort in the area for foreign tourists is Hua Hin, whilst Thai tourists and clued up foreign tourists tend to choose to Prachuap Khiri Khan. The town centre has a pier with a pretty lighthouse and a seafront promenade with great seafood restaurants such as Ploensamut and Lung Mug-Paa Lord. 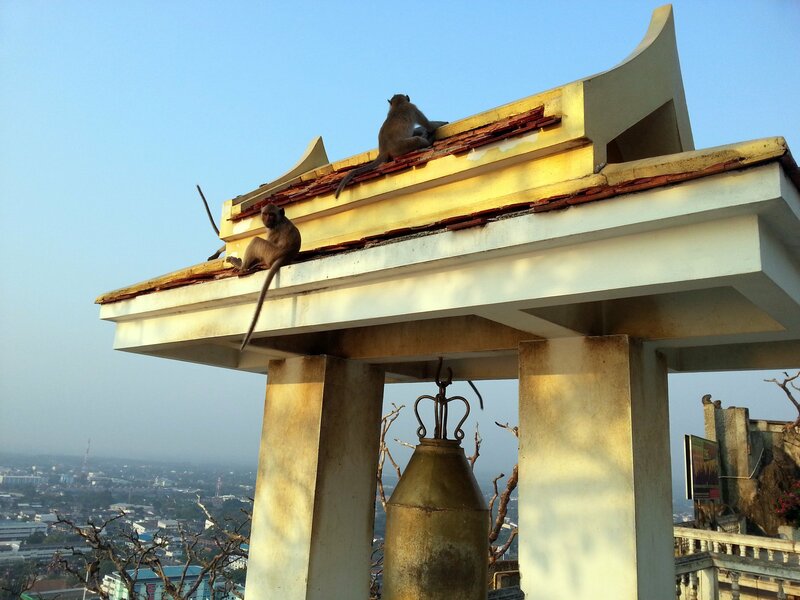 The major tourist attraction in Prachuap Khiri Khan is Wat Thammikaram Worawihan, also known as the monkey temple. Wat Thammikaram Worawihan is at the top of Chong Krajok hill. The temple itself is not particularly interesting but the views from the top of hill where the temple is located are stunning. Chong Krajok hill is also home to a large troop of macaque monkeys who you will see sat on the top of the temple and on it walls. Prachuap Khiri Khan also has a good beach located 4.8 km by road to the south of Prachuap Khiri Khan railway station called Ao Manao. Ao Manao beach is owned and managed by the Thai Air Force and kept very clean. Bring a copy of your passport when you go to Ao Manao beach as you are required to sign in in order to access the beach.